Selina Tusitala Marsh is a poet of Samoan, Tuvaluan, English and French descent and New Zealand’s current Poet Laureate. Her poetry is published in over 67 anthologies, academic texts, print and online literary journals, and translated into Ukraine, Spanish and Italian. Since 2007, she has performed at over 119 national and international events and given over 100 poetry writing workshops. She was a Poet Olympiad for the 2012 London Olympics Poetry Parnassus event, and in 2015 won the London Literary Death Match at the Australia New Zealand Literary Festival. The NZ Listener has described her as the ‘vanguard of contemporary Pacific Literature’, and ‘one of the most important poetic voices of her generation’. 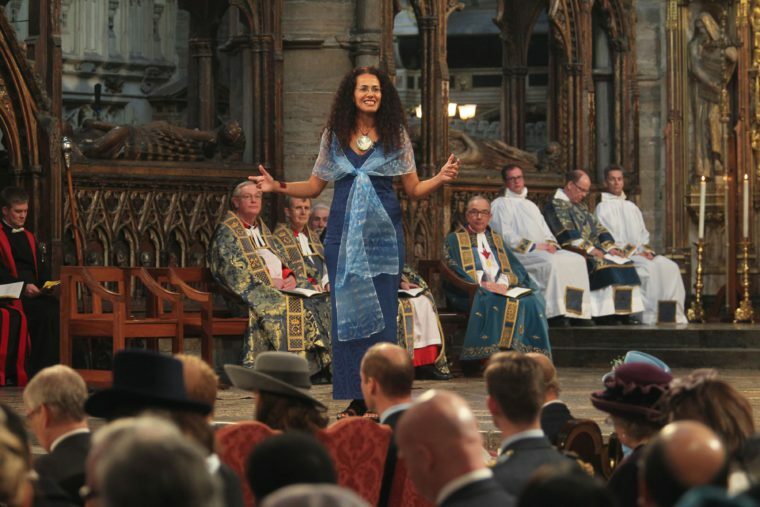 Selina was the 2016 Commonwealth Poet, during which she attended Westminster Abbey, where she performed her commissioned poem ‘Unity’, for the Queen. She was the poet MC for the 2018 formal dinner for visiting ex-US president Barack Obama. Among her numerous publications, Selina’s award-winning poetry collection, Fast Talking PI (Auckland UP, 2009), featured at the 2012 Frankfurt Book Fair, won the NZSA Jesse Mackay First Best Book Award (2010) and its titular poem took on cult status in schools and community groups. Her second poetry collection, Dark Sparring (Auckland UP, 2013) received critical acclaim, including both the Top 5 NZ Best Seller List and NZ Listener’s Best 100 Books in 2013. As a Senior Lecturer in the English Department at the University of Auckland, teaching New Zealand and Pacific Literature and Creative Writing, Selina’s critical and creative work focuses on giving voice to marginalised communities. Selina is also the designer and facilitator of Best Leadership Academy’s Pasifika Mat programme which examines leadership through creativity, and the co-ordinator of Pasifika Poetry Web (nzepc), an audio visual archive of Pacific poets and their work. Selina was a judge for the New Zealand Ockham Book Awards 2016. A book based on her doctoral thesis, Led By Line: First Wave Oceanic Women Poets (1974-2016) is currently in press with the University of Hawai’i at Manoa. For Selina’s lively description of the Queen’s poem, her reading, and subsequent conversations with royalty, follow this link. Selina’s latest collection Tightrope (AUP) was launched 25th August, 2017, the same night as the announcement as New Zealand’s first ever Pasifika woman Poet Laureate.